Disposable lab coat, gloves (select gloves appropriate for chemicals handled) and wrist guards. Some organic compounds can be absorbed through gloves therefore, wear two pairs of gloves and change the outer layer frequently. Be careful not to generate carbon dioxide and handle potentially volatile or dusty coumpounds in a fume hood. Use disposable absorbent liners on trays. Tritium is not a radiation hazard unless it enters the body. Once in the body, tritiated water is uniformly distributed in the body water and can then expose tissues. Tritiated water can be absorbed through the surface of skin, leading to an internal exposure. Lab coat and PVC gloves (0.5 mm thick) are preferred because of this material’s low permeability to tritiated water. 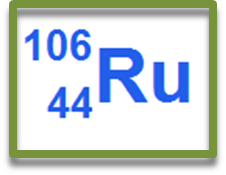 Many tritium compounds readily penetrate gloves and skin. Handle these compounds remotely, wear two pairs of gloves and change the outer layer at least every twenty minutes. Handle tritiated water, gases and volatile liquids in ventilated enclosures. Use glass containers to store tritium compounds because tritiated water and tritiated organic solvents will pass through plastic. Always use the principles of time, distance and shielding to minimize dose. Use disposable plastic, latex or rubber gloves. Wear a lab coat, which must be monitored before leaving the laboratory. Use syringe shields and tongs to handle unshielded sources and potentially contaminated vessels. Disposable plastic, latex or rubber gloves, safety glasses. Keep handling time to minimum. Use plastic syringe shields and tongs to avoid direct skin contact. When possible work behind a plastic screen. Near an unshielded 37 MBq (1 mCi) P-32 source, dose rates due to beta radiation can be 260 mSv/hr. Never work over an open container with P-32. 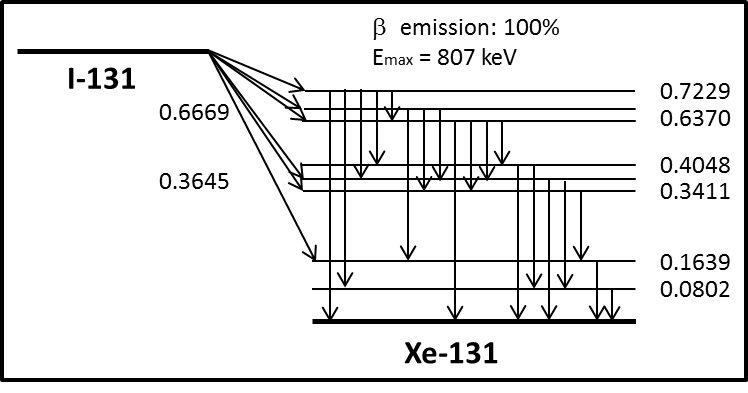 Hundreds MBq quantities can produce significant secondary radiation (x-rays) due to bremsstrahlung effect. In this case, 3-6 mm of lead needs to be added to the Lucite shield. Avoid local high dose exposure by remote handling of large quantities and prompt removal of contaminated clothing or gloves. The bone is the critical organ for uptake of transportable compounds of P-32. The lung and the lower intestine are the critical organs for inhalation and ingestion of insoluble P-32 compounds respectively. Avoid local high dose exposure by remote handling of large quantities and prompt removal of contaminated clothing or gloves. 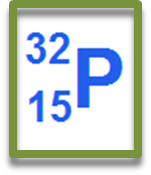 MBq quantities of P-33 do not present an external exposure hazard. 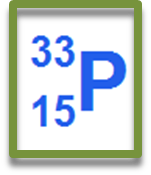 The bone is the critical organ for uptake of transportable compounds of P-33. The lung and the lower large intestine are the critical organs for inhalation and ingestion of insoluble P-33 compounds, respectively. Phosphorus metabolism is complex: 30% is rapidly eliminated from the body, 40% has 19-day biological half-life, and the rest is reduced by radioactive decay. 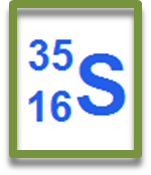 Sulphur dioxide: irritant to eye, nose, throat, lungs; bronchoconstriction; mutagen, suspect reproductive effects. 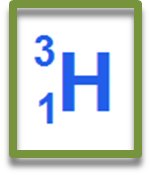 Hydrogen sulphide: moderate irritant to eye (conjunctivitis), lung; acute systemic toxicity; Central Nervous System may be affected. Sulphur is combustible. Wear disposable lab coat, gloves and wrist guards for secondary protection. Select appropriate gloves for chemicals handled. Lab coat must be monitored before leaving the laboratory. S-35 is volatile and should be handled in ventilated enclosures. Take care not to generate sulphur dioxide or hydrogen sulphide which could be inhaled. Radiolysis of S-35 amino acids during storage and use may lead to the release of S-35 labelled volatile impurities. Therefore, all vials should be opened and used in a fume hood. Use syringe shields and tongs to handle unshielded sources and potentially contaminated vessels. Use disposable absorbent liners on trays. Always handle hundreds MBq quantities behind lead shielding. 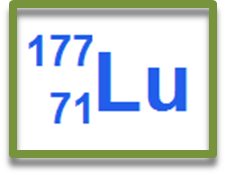 Dosimetry: Urine analysis for those that use 17.2 MBq (0.46 mCi) or more volatile liquids or gases at a time without containment. Contact the U of T Radiation Protection Services if you use larger quantities. 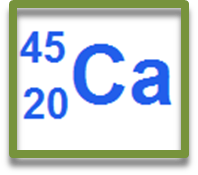 Calcium-45 is considered highly radiotoxic because of its affinity for the bone. 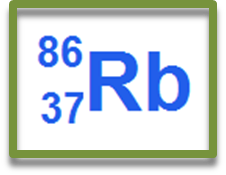 Radiocalcium has a long biological half-life and can cause damage to the blood forming organs. Calcium reacts with water, producing hydrogen. If concentrated, the gas becomes a fire and explosion hazard. Calcium also poses a fire and explosion hazard when heated or when in contact with strong oxidizing agents. When working with unsealed sources wear appropriate protective clothing, such as laboratory coats, coveralls, gloves, and safety glasses/goggles. Laboratory coats must be monitored before leaving the laboratory. Use a suitable mask if the radioactive material is in the form of a dust, powder or if it is volatile. The metabolism of Calcium is complex. The majority is deposited in the bone and is retained with a long biological half-life (18000 days/50 years). A smaller fraction is eliminated immediately via the urine but eventually half of the radionuclide is eliminated via the feces. Chromium and chromate salts are suspected carcinogens of the lungs, nasal cavity and paranasal sinus, also experimental carcinogen of the stomach and larynx. 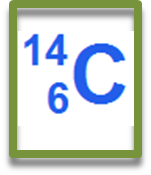 Skin exposure to chromate salts may result in dermatitis. 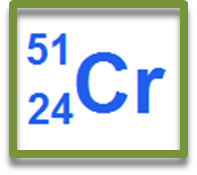 Sodium chromate (Cr-51) solution may emit radioactive fumes containing Cr-51 when heated to decomposition. Iodine compound can become volatile. Handle and store in ventilated areas. Exposure to significant amounts of radioiodine increases risk of developing thyroid cancer. Iodine is toxic by ingestion and inhalation and a strong irritant of eyes and skin. Iodine can be absorbed through the skin. 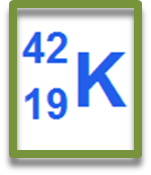 When iodinated (I -125) albumin injection is heated to decomposition, radioactive fumes containing I-125 may be emitted. Disposable plastic, latex or rubber gloves. Some iodine compounds can penetrate surgical rubber gloves. Wear two pairs or polyethylene gloves over rubber. 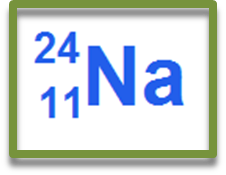 Store NaI-125 solutions at room temperature because freezing may result in subsequent volatilization of radioiodine. 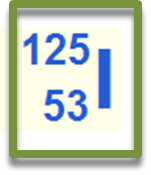 The critical organ for I-125 uptake is the thyroid. The thyroid may be assumed to accumulate 30% of the soluble iodine and retain it with a biological half-life of 138 days. The elimination takes place via urine. Iodine compound can become volatile. Handle and store in ventilated areas. Exposure to significant amounts of radioiodine increases risk of developing thyroid cancer. Iodine is toxic by ingestion and inhalation and a strong irritant of eyes and skin. Iodine can be absorbed through the skin. 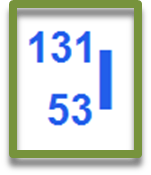 Heating Hippuran (I-131) or sodium iodide -131 to decomposition may result in radioactive fumes containing I-131 to be emitted. Fluoroscopy aprons provide no protection against the radiation from I-131. 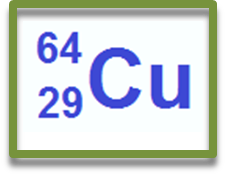 Indium metal and its compounds are toxic by inhalation, causing cumulative organ damage. Suspected teratogen. 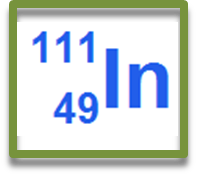 When Indium 111 chloride is heated to decomposition, radioactive fumes may be emitted. Keep handling time to a minimum. Always use the principles of time, distance and shielding to minimise dose.